VIDEOThe perfect summer video set to the perfect summer song. 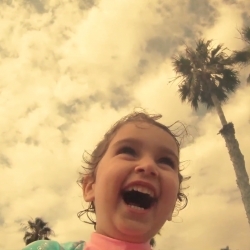 This is 3 year-old Nicole's first time ever to the beach. The video is set to the song 'Beach 2011' by Vit Päls. 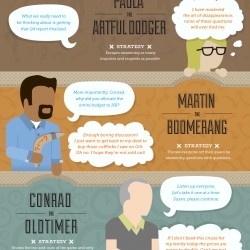 The dreaded workplace meeting brings all sorts of communicators to the table, and each has their way of making it through the meeting; whether it helps the discussion or not. Hiromi Takizawa is a glass artist from Japan currently living in the U.S. 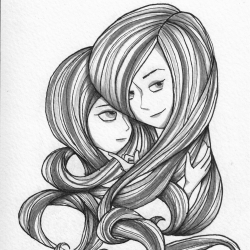 Her work is very ethereal. 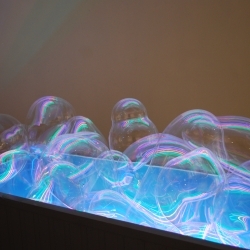 Use of light and glass within her installations often leave its viewers mesmerized. 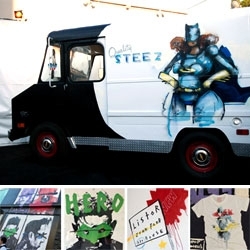 FEATUREDAnthony Lister kicks off Junk Food Clothing's Art House collection with fun tees, posters, murals, ice cream truck and more! Great opening tonight! 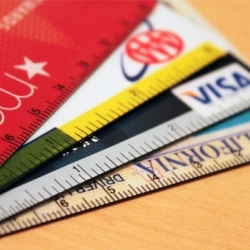 The Cardstick, a ruler for your wallet. If you've ever needed a ruler when out and about then this is for you, a three inch ruler vinyl sticker to attach to your credit cards or anything else. New shirts from Aesthetic Apparatus. 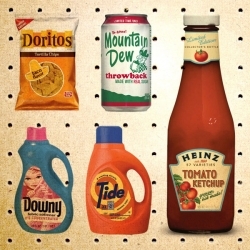 So many great vintage-inspired packaging re-designs hitting the shelves lately. Take a look! Iconfinder 404 error page! Awesome sad robot guy. SexPlex concept by Scottish student Ruth Dowie. Could this really be the future of one-night-stands for the promiscuous urban dweller? 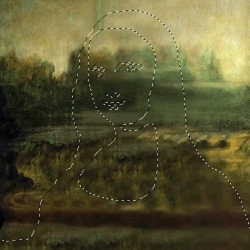 'Selected' is a series of animated gifs by Mike Guppy, in which the subjects of well-known paintings have been removed with a 'marching ants' outline similar to the ones you’d see in GIMP or Photoshop. 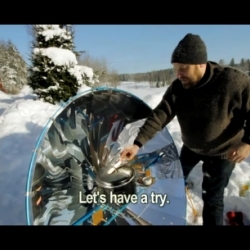 Solar Kitchen Restaurant by Martí Guixé e Antto Melasniemi will open in Helsinki on 04.08.2011. 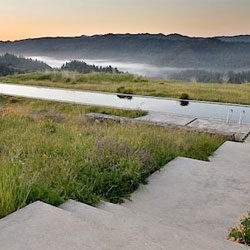 Remodelista rounds up some gorgeous outdoor lap pools. 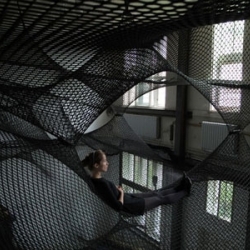 A community hammock by Numen/For Use mounted at Z33 - Huis voor actuele kunst, in Hasselt, until 2.10.2011. 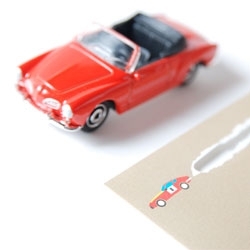 Fun tearable envelopes from D-BROS.
New Scientist's roundup of regenerating animals. 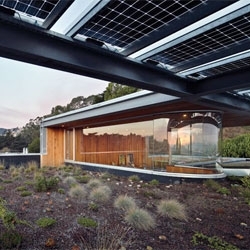 Beautiful modern extension on a Victorian house in San Francisco. 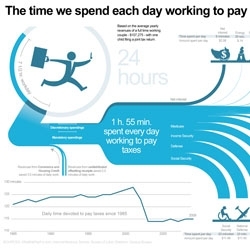 How much time do you spend each day working to pay your taxes? 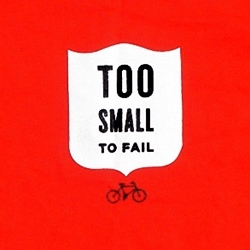 Infographic by Nicolas Rapp. 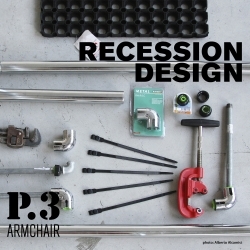 VIDEOP3 armchair by Recession Design. 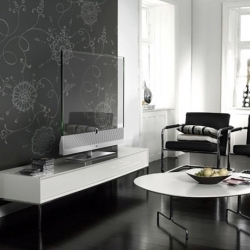 RD design objects have the common characteristic of being made from materials easily available in DIY shops and assembled using everyday tools. 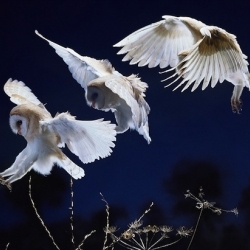 Surrey, England-based photographer Kim Taylor captures animals in his garden using a process called locomotion. 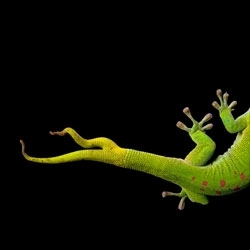 It shows a creature’s ability to move from place to place in impressive detail. 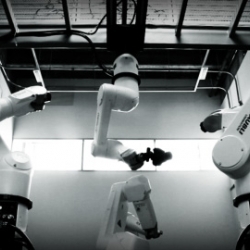 VIDEOThis visual and sonic installation uses a real time data flow translating each of the Staubli industrial robots’ 6 joints position in space into an immersive experience. Urban City by Evol. Part of MS Dockville. 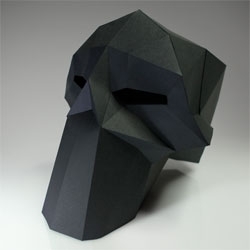 FEATUREDCatch up with a roundup of fashion's finest from Notcouture. 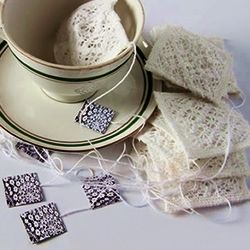 The hybrid design of typical teabag, created from handmade lace by designer Anna Zofia Borowska, to contrast the idea of a disposable item with elaborated and sophisticated form. Views of Earth from outer space by Guy Laliberté in his new book 'Gaia'. 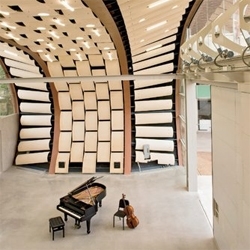 The incongruously named Wild Beast Pavilion by Hodgetts + Fung is tuned as precisely as the instruments that will grace its stage. 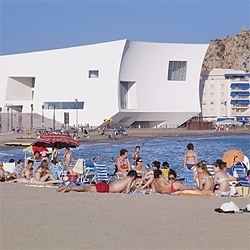 The recently completed Aguilas Auditorium, a pitched cube in front of the ocean. By Estudio Barozzi Veiga. 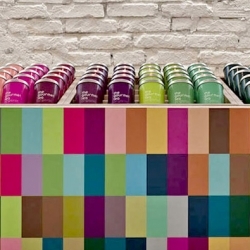 Architect Alan Chu designed The Gourmet Tea, a funky tea room in Sao Paulo, Brazil, using the color of the tea canisters as inspiration. 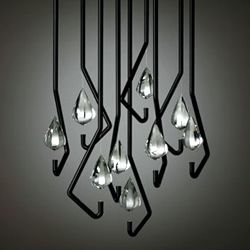 Elegant simplicity and modularity embodied in Thomas Feichtner's LED, steel and crystal light fixture 'One Crystal Chandelier' for Austria's J. & L. Lobmeyr. 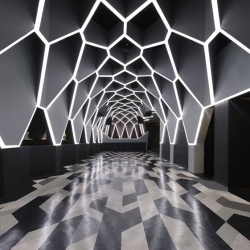 Geometric graphics run throughout Roxy/Josefine Club in Belo Horizonte, Brazil, and resembles a gigantic sci-fi bee’s nest - with bold, sumptuous colors lending it a futuristic yet decidedly opulent aura. 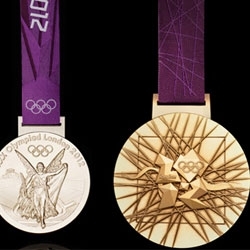 Comparing the London 2012 Olympic Games medal with past medals. At first, they look like corrupt high resolution photographs, damaged by a bad Internet connection. 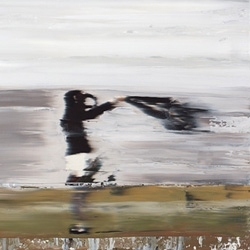 Then you find out that the author, Andy Denzler, is an expressionist painter who only works with canvas, oil and acrylic. 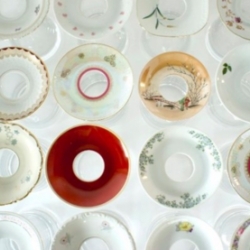 Used porcelain saucers are reclaimed from European flea markets. The various saucers tell the history of European porcelain making and recycled to create unique vases by Hrafnkell Birgisson. 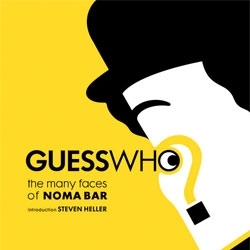 Noma Bar's "Guess Who? The Many Faces of Noma Bar". 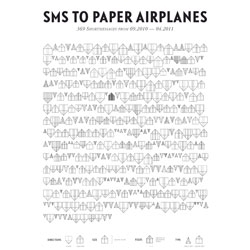 Christian Groß turns his SMS messages to and from his long distance girlfriend into paper airplanes. 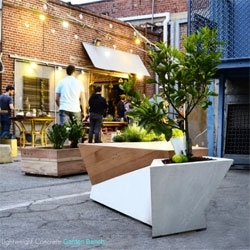 Garden Bench from Blafu Design. 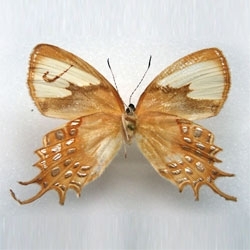 Mimésis, a series of branded butterflies by Sarah Garzoni. 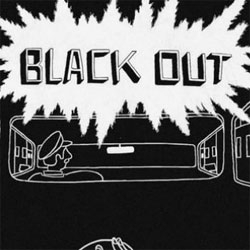 VIDEOAnimation capturing New York's 1977 blackout by Buck and designed by Christopher Silas Neal for Umbro. VIDEOCinemetrics, a film visualization project, by Fred Brodbrec. 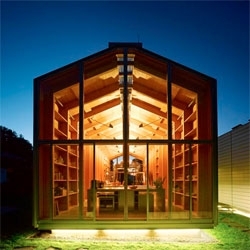 Nobis House, a minimalist boathouse residence near Munich. 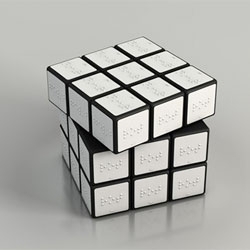 A braille Rubik's Cube, part of the Talk to Me exhibit at MOMA. 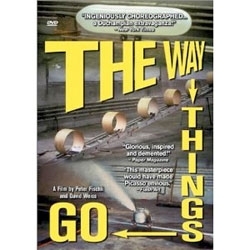 VIDEOA history of the Rube Goldbery machine in this 1987 firm Der Lauf der Dinge (The Way Things Go) directed by Peter Fischli and David Weis. 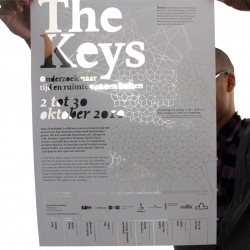 Graphic design and exhibition design for The Keys. 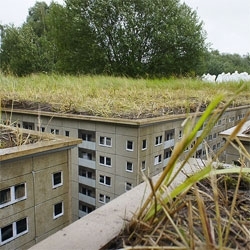 Frankendael Foundation, Amsterdam. For the poster-design Studio Léon&Loes made an penrose illustration and used the laser-cutting technique.This enhanced the main concept of 'the research of space'. 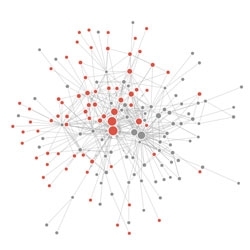 Collusion, an add-on that offers real-time visualization of the entities that track your browsing. 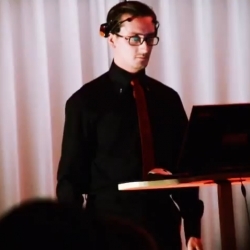 VIDEOMusical instrument that can be played and controlled by thought alone. Brain music rock n' roll!